Practical measures to support the culture change in science towards open science. This is the objective of the FOSTER Plus project. Helene Brinken presents the measures in this interview and describes the roles that libraries can assume during training for open science. Training courses, training materials and incentives play an important role in the promotion of open science. In this interview, Helene Brinken from the Göttingen State and University Library (SUB) provides an overview of the activities as part of the FOSTER Plus EU project. What are the objectives of the FOSTER Plus project? The FOSTER Plus project funded by the EU aims to promote a cultural transformation in science that goes beyond awareness of the open science movement, and in which the practical aspects of open science can be implemented completely. Opportunities for qualifications on an institutional level and in a variety of scientific disciplines are being increased to achieve this. At the same time, a network for the support of trainers that will bring together open science advocates from a number of research institutes and infrastructures is being developed. What are the training activities in the FOSTER Plus project and to whom are they addressed? FOSTER Plus organises specific training courses for scientists that concentrate on the key competencies for the promotion of the open science culture. The project offers a highly diverse programme of training courses with a strong emphasis on e-learning – yet also contains a large number of face to face events. It is particularly important that FOSTER Plus provides materials that are specific to the discipline in order to react to the different needs of the research communities. For this reason, GESIS (Leibniz Institute for the Social Sciences) as a partner for the social sciences, the Centre for Genomic Regulation for the life sciences and DARIAH-EU for the humanities are involved in the project. Alongside the disciplinary-specific focal point, FOSTER Plus also places particular value on increasing the open science training capacity. The so-called train-the-trainer approach therefore plays a central role in the project activities. Alongside events, new materials that are specifically addressed to open science trainers in the future are being created. What roles do libraries play in FOSTER Plus? Two significant partners in the FOSTER Plus project consortium are the Göttingen State and University Library (SUB) and the Association of European Research Libraries (LIBER). The SUB is heavily involved in the development of new learning materials and the implementation of training courses. They also lead the project PR work. Furthermore, the SUB has instituted the open, living “Open Science Training Handbook” in cooperation with the Leibniz Information Centre for Science and Technology University Library in Hannover. LIBER is primarily responsible for establishing and maintaining the open science training capacities all over Europe. Libraries play an important role for FOSTER Plus. The project can use the existing networks and build on a wide amount of support. What roles should libraries assume with regard to the training of open science researchers? Libraries can assume an important role in open science training courses for scientists by functioning as a central hub. This includes on the one hand consultation, for example in the form of open access or open science representatives. In addition, libraries are a contact point and meeting point for scientists who are searching for information. The SUB Göttingen regularly offers open science meetups that are available to researchers on the campus as a platform for exchanging information among themselves and as a learning opportunity. Furthermore, SUB maintains an open science mailing list that informs all of those interested about the activities taking place in Göttingen. Who is the Open Science e-learning toolkit aimed at and how has it been designed? These courses are interconnected via learning pathways. Completing these can lead to a certificate. Where do you think action is needed for open science to establish itself even further in the everyday life of researchers? In order for open science practices to be able to be used in daily work processes, scientists primarily need training that goes beyond awareness raising for the importance of open science and focuses on the practical implementation. In addition, incentives play an important role, as researchers should not only be enabled, they should also be motivated to put what they learn into practice. That means research institutions should, for example, place in their application procedure a greater value on the applicant’s ability to implement open science practices. What would you recommend that libraries do to promote open science? FOSTER Plus has published the two-page position paper “Roadmap for Implementing Open Science Training Practices in Research Institutions” in order to raise awareness in institutions about the possibilities for action for the promotion of open science. The paper formulates six steps for effective management approaches, for example improving the range of training courses, the integration of open science contents into the training of researchers, the adjustment to disciplinary-specific needs etc. 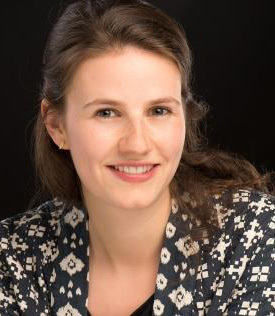 After completing her Master’s in “International Information Management – Information Science”, Helene Brinken began her employment at the Göttingen State and University Library for the EU projects FOSTER Plus and FIT4RRI on the subjects of open science and responsible research & innovation. She is responsible for the PR work for projects and she creates new learning materials and organises workshops on the subject of open science, for example the book sprint for the FOSTER Open Science Training Handbook.